When thinking of the word jasmine, I can imagine any number of beautiful things, such as long nights in the summers with my family or enjoying slow walks through newly bloomed gardens in the spring. No other scent always brings back pleasant memories for me. It’s a familiar scent for perfumes and lotions, as well as candles, due to its strong but soothing fragrance. In addition to its pleasing aroma, there are several proven benefits and uses of jasmine essential oil that may make you add it to your own collection. Jasmine essential oil blends well with other floral scents, such as lavender and chamomile to create a relaxing blend for your diffuser. A favorite of the many jasmine essential oil uses is as a massage oil that can be applied before having intimate relations with your partner. Diffusing other scents such as ylang-ylang and rose oil can also help with relaxing and creating an intimate mood. Use the oil in a massage oil carrier to create a rub for your body and apply to your abdomen to ease the symptoms that may not be controlled by traditional therapies alone. Try diffusing jasmine oil with other essential oils that have sedative effects such as lavender and chamomile. Adding a couple drops to a warm bath before bed may also help you relax and prepare for a good night’s sleep. Using jasmine in your diffuser with a citrus mix of oils may help improve concentration and energy, allowing you to finish your work and reduce stress. As much as I try to manage it, my day is ruled by stress and anxiety from the time I get up and often after I try to go to sleep. I’m under the care of a physician and take medication, but it comes with its own list of side effects and doesn’t complete alleviate everything. I often suffer from a lack of concentration, low energy, and, thanks to side effects, almost no desire to spend time with my husband. Essential oils have been the answer to treating the residual symptoms that aren’t quite covered by medication or other therapy. I started with just lavender to ease the anxiety, then began adding further oils, particularly jasmine since I found that the scent helps to evoke pleasant memories when I use it in my aromatherapy. Jasmine has been instrumental in overcoming the intimacy issues that have arisen from my medication. We’ve made a bedtime ritual of a relaxing bath with lavender, then diffuse ylang-ylang and jasmine. Massage with a combination of rose oil and jasmine with sweet almond rounds out the night, either resulting in an intimate connection or even just the both of us being relaxed enough to fall asleep and sleep well through the night. This is a green tea which has added jasmine to allow you to experience all the benefits that come from the aroma of jasmine while enjoying a healthy green tea. Like many teas and essential oils, jasmine possesses phenols that may be beneficial in aiding in cell repair which can prevent issues like premature aging. You can also allow the scent to help your mind to focus and lift your mood with the properties which alleviate depression and the inability to focus. 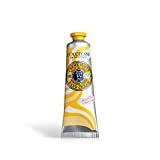 This hand cream uses natural shea butter to give you a smooth, whipped cream that moisturizes and protects your skin from germs. Since this lotion is suffused with jasmine oil, your hands may be resistant to picking up germs that could cause sickness throughout the day. You can also carry around the relaxing scent all day, enjoying the many benefits of jasmine as well as healthy skin. Due to the intense aroma, jasmine essential oil may cause irritation if you are sensitive to smells or suffer from allergies. Women who are pregnant or nursing should not use jasmine essential oil due to its effects on women’s hormones. Do not use jasmine if you have been prescribed medication which is sedative or causes drowsiness as jasmine may increase that effect. Always use 100% therapeutic grade essential oils to limit any possible interactions. Though jasmine is one of the harder oils to make, its benefits make it worth the extra effort. I hope you enjoyed reading about the different uses of this pleasantly scented oil. Be sure to share this with anyone who may be looking to improve their concentration or even their intimate life.